No one likes to feel angry. Anger problems can hurt your personal and professional relationships. With anger problems comes guilt and confusion, even if the anger seems justified or warranted. You might be struggling with health issues such as headaches, high blood pressure, or depression as a result of anger management issues. Anger problems can lead to emotional abuse and verbal abuse. It can even lead to the destruction of marriages and families. Perhaps the anger makes you question your communication skills or wonder if you need help. Guy Stuff Counseling has proven, individualized techniques that can help anyone manage anger. Do not let anger problems hijack your life. Get help! How do you know when you need professional help with your anger problems? If any of the sentences below describe you, then it is time to reach out for assistance and start learning how to manage your anger. Fortunately, help is available at Guy Stuff. We are only a phone call away. You can’t control or stop your anger. You feel guilty after an outburst. Anger is damaging your personal or professional relationships. Your anger has crossed the line and been abusive. Your family members look at you with fear in their eyes. If you can identify with any of the sentences above, do not despair. Anger management classes at Guy Stuff provide a safe and effective way to learn to manage your anger and to regain control of your life. It is never too late to get the help you need and make changes in your life. Make changes today. Do not let your anger issues continue to escalate and cause greater problems in your life and the lives of the ones you love. Make the call today to get the help you need. Take a look at how our anger management classes work and see how we can help you with your anger problems. We promise calmer days are in your future. Do not delay. 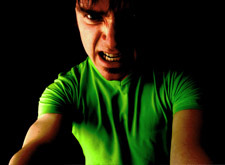 You can get started right now with our anger management tips on our Counseling Men Blog.